When using Windows to manage the wireless adapter, Windows XP SP3 or XP SP2 with Wireless Client Update is required for WPA2 authentication and encryption. 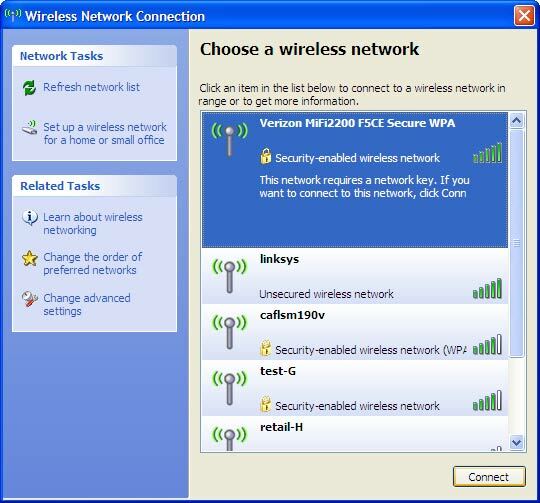 Refer to Wi-Fi Encryption Key/Passphrase for assistance locating the default network credentials (SSID/Password). Wireless Network Connection won't be available without a module installed. 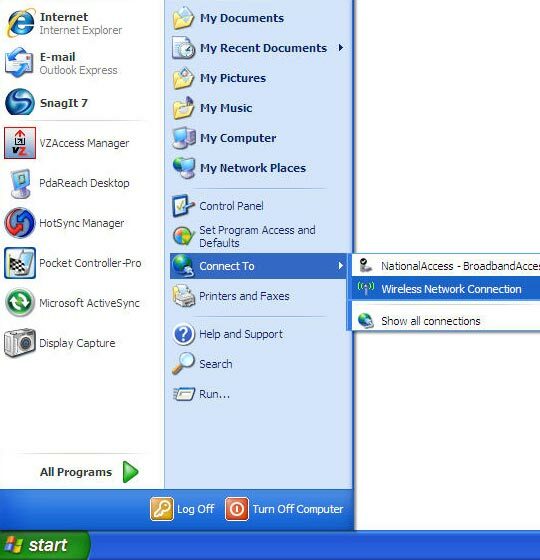 Alternative navigation: from the Windows desktop navigate: Start > (Settings) > Connect to (Network Connections) > Wireless Network Connection. Ensure the desired network is selected then click Connect. If Windows cannot configure this wireless connection refer to Starting the Wireless Zero Configuration service for additional assistance. Enter the Network key (Password), Confirm network key then click Connect.